This is a silly and short blog post, but one of the things that irritates me most in this era of the smartphone is that there are no obvious protocols for the data entry of Chinese names. Google Contacts allows me to enter the phonetic first name and phonetic last name, but in China, "the last shall be first and the first shall be last." Would it not be smarter to say surname and given name? Is there some culture, readers, where this convention would not solve my problem? It is rather embarrassing to call Wu Zhang when I meant to call Zhang Wu (names changed to protect the innocent). 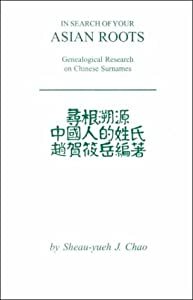 If you are more interested in this topic, there are a plethora of interesting articles available on the most popular names in Chinese. Li (or, as we spell it out West: Lee) is the fourth most popular. As usual, Wikipedia is a good place to start.